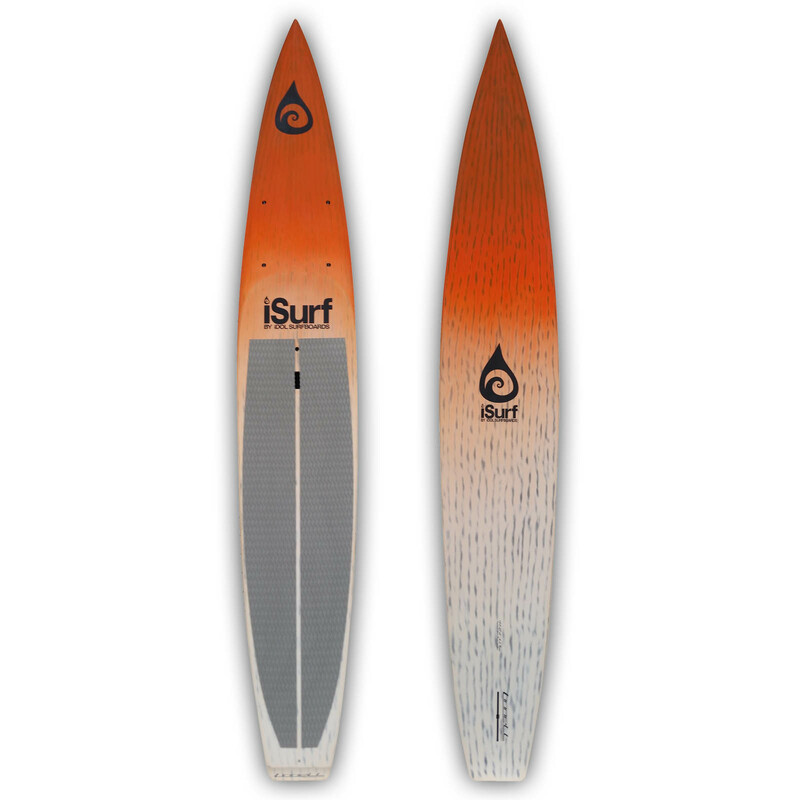 The 12'6″ Arrowhead is our mid-size race/touring SUP. This paddle board is fast and stable in a variety of conditions. It can be used for racing or touring. Available in blue, orange or pink brushed carbon-fiber. 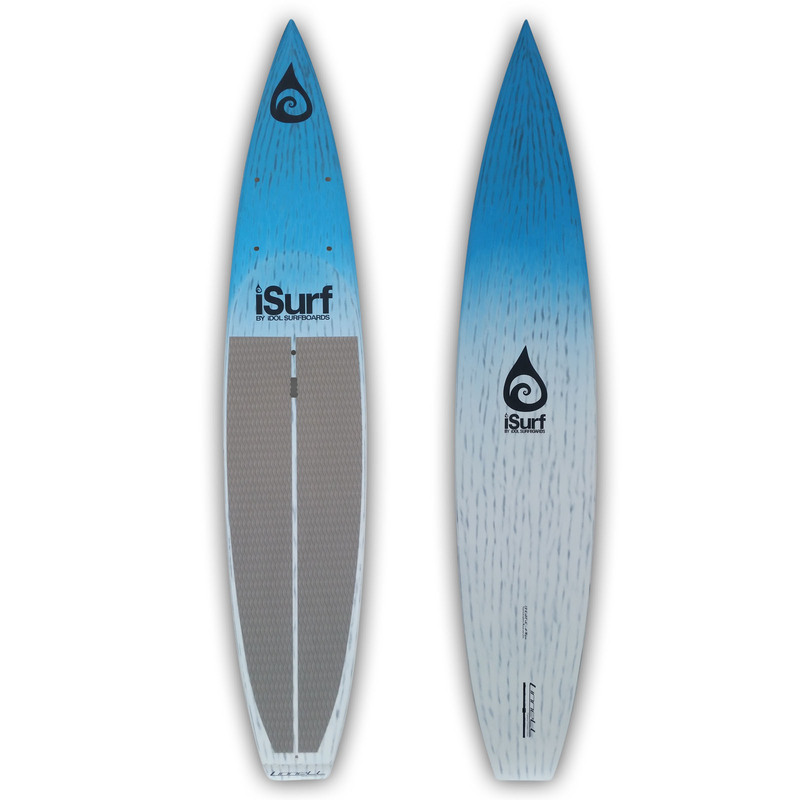 The 12’6″ Arrowhead is our mid-size race/touring SUP. 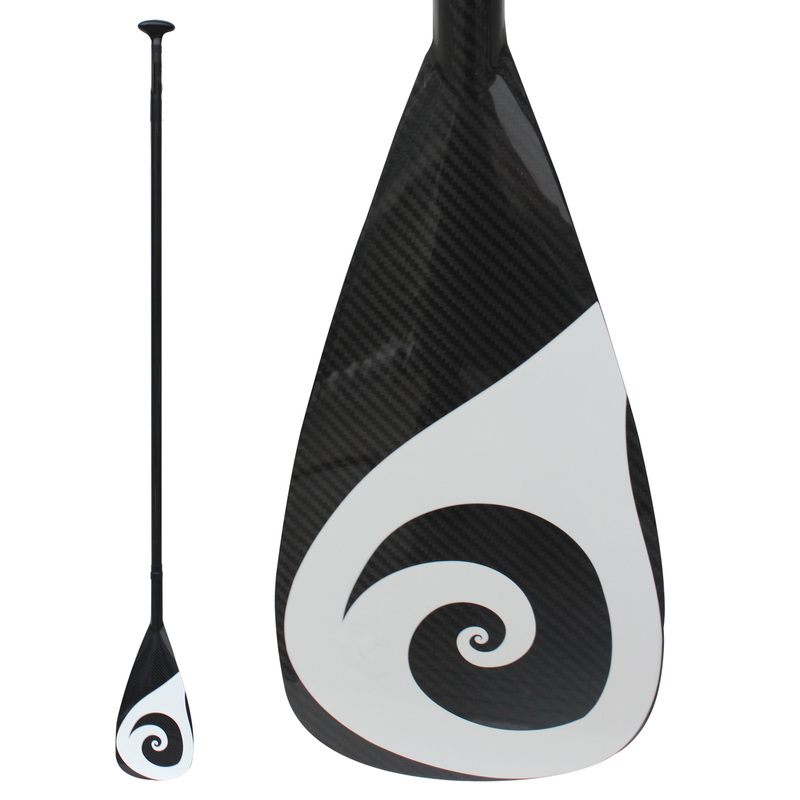 This paddle board designed specifically to be fast, lightweight and durable. The race inspired outline is 28″ wide, which makes it stable enough to be paddled recreationally or even on expeditions. EPS/Epoxy/Carbon-fiber construction means this board will last for years. 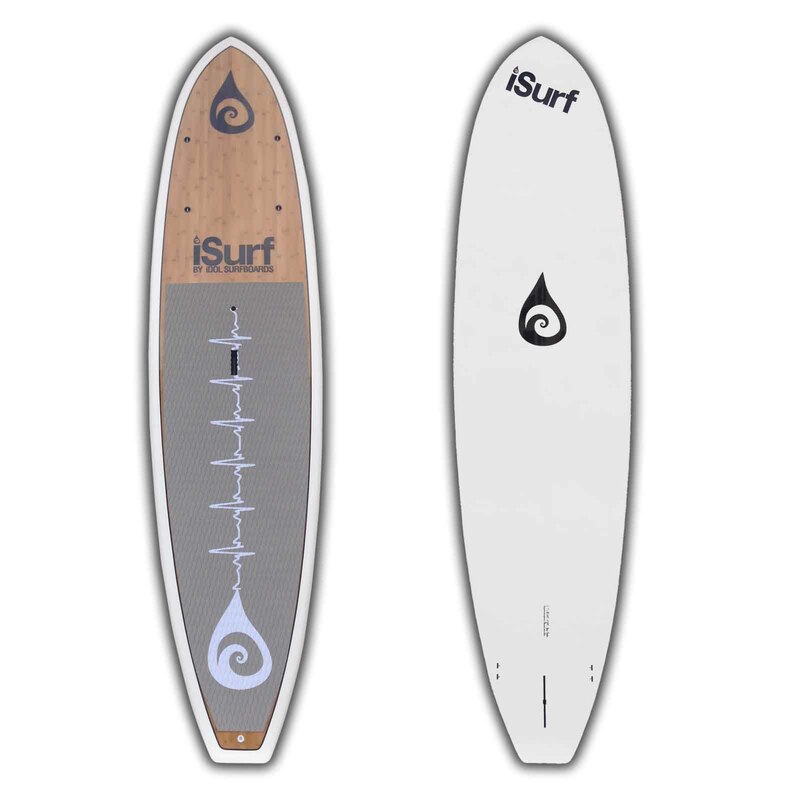 All iDol and iSurf boards are designed and manufactured under the supervision of iDol/iSurf founder, Alex Brost. Brost founded the company on the belief that “Anything worth doing is worth doing right.” That means that all boards are constructed using quality materials and fair labor practices. We make sure boards are constructed properly and with integrity. 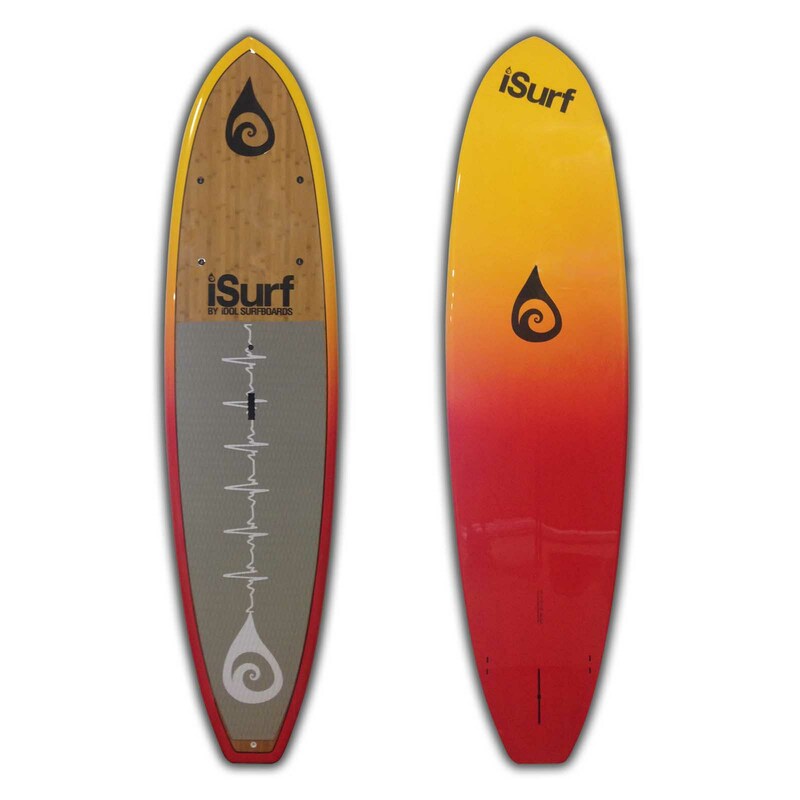 Free shipping on all surfboards in the 48 continental United States! SUPs ship within two business days. Please be sure to include a phone number where you can easily be contacted when you checkout – SUPs are over-sized, and our shipping company will need to contact you to arrange delivery. 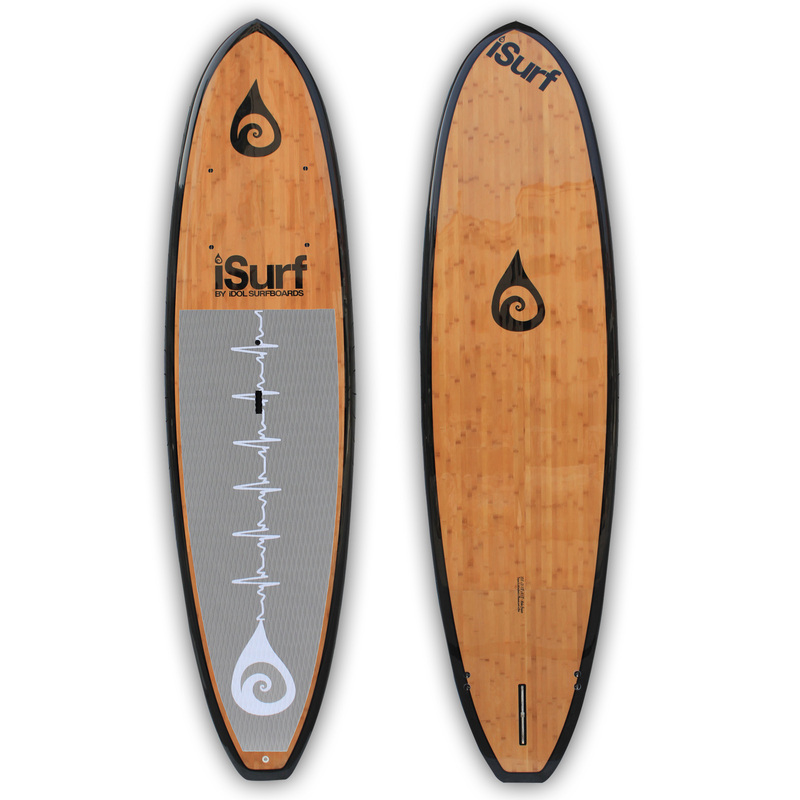 If you want your SUP sooner, check our Dealers Page and visit your local iSurf dealer. Single 11 inch tracking fin included.